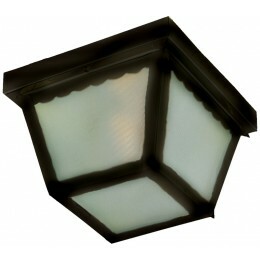 Maxim Lighting's commitment to both the residential lighting and the home building industries will assure you a product line focused on your lighting needs. 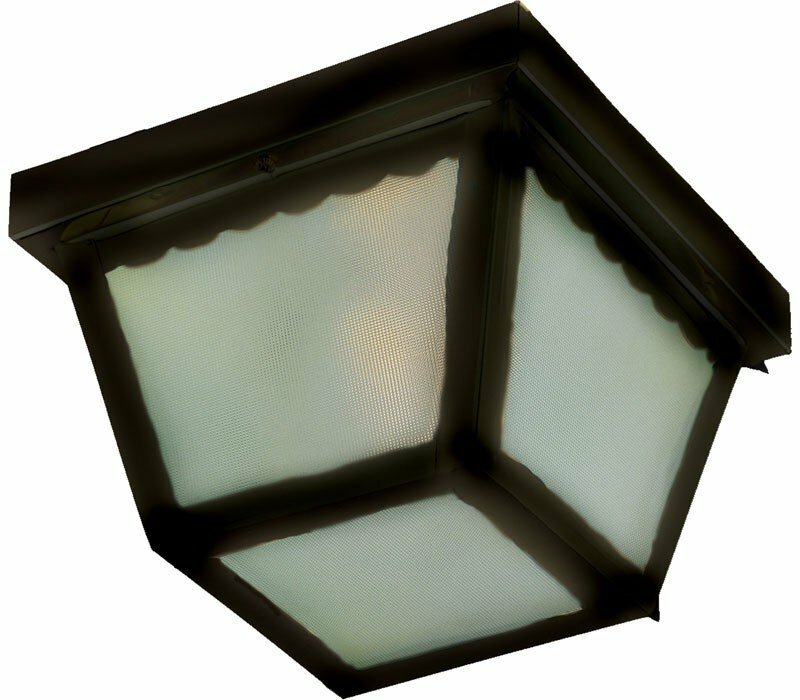 With Maxim Lighting's Outdoor Essentials collection you will find quality product that is well designed, well priced and readily available. 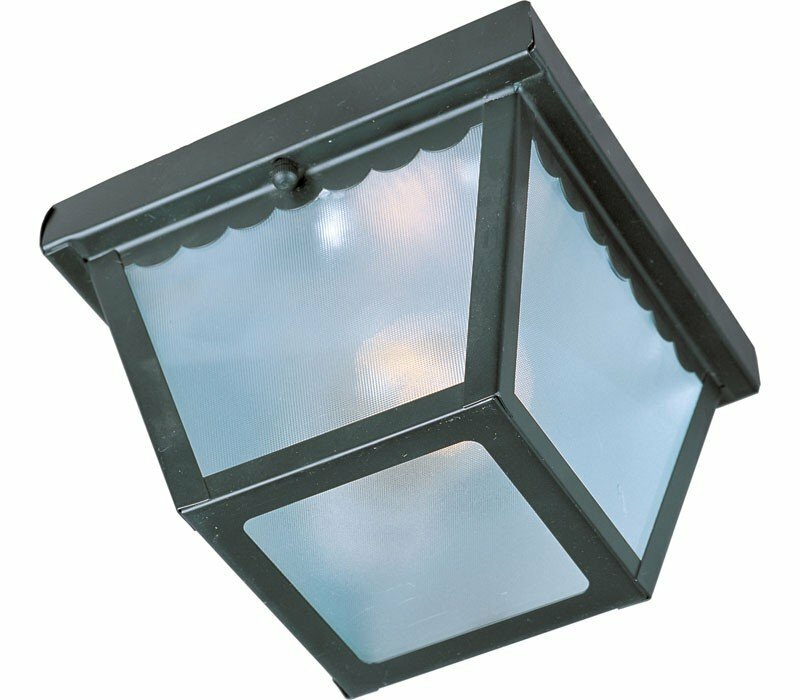 The Maxim 6204FTBK Outdoor Essentials collection Outdoor Flush Mount Lighting in Black uses Incandescent light output and brings Traditional style. The total wattage is 150 and the voltage is 120 volts. 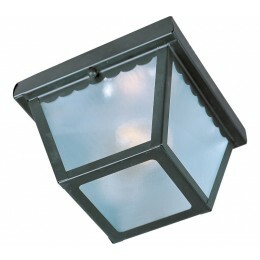 The Maxim Lighting 6204FTBK requires 2 bulbs (not included). Additional Information: Shade-Frosted Glass.